Old meets new in India | Walk with us! The following is an excerpt from Fr. Tom Cassidy’s journal. He is writing from India, where he has been assisting in the missionary district for the past few weeks. At first glance this is just an ordinary picture I took at an outdoor restaurant in Goa. But if you think about it the photo is also a metaphor for old meets new in India. The rice paddy is centuries old tracing its origins to the ancient lands of Asia, including India. Pepsi, on the other hand, is a product of the late 19th or early 20th centuries that grew out of the popularity of their main rival, Coca Cola. I remember an American SCJ who was visiting Latin America who told the story about a trip he took, I believe in Bolivia. It goes something like this: We were going to visit an ancient Indian settlement up in the mountains. We traveled first by train and when the tracks ended we took a bus. When the bus stopped we rode donkeys and when the donkeys stopped we made the final part of the journey up the mountain on foot and wouldn’t you know it on top of that mountain the first thing that caught my eye was a sign that said: DRINK COCA COLA. India is a land that combines the ancient and the modern. You can’t miss it for it’s staring you in the face which ever way you turn. Cows who seem to know that they have the right of way must be yielded to by even the most expensive car driven by a millionaire. A land in which on the one hand you’ll spot a day laborer using a tool invented and fashioned centuries ago works side by side with a backhoe made by Mitsubishi. Somehow, at least on the surface, it all seems to work. Yet change is difficult too. Certainly our theologians are very comfortable living in a technological world. They speak the common language of computers, Facebook and mobile phones with the same ease as anyone their age in the States. Finally, this photo is a good transition to what I will be doing over the next 10 days. 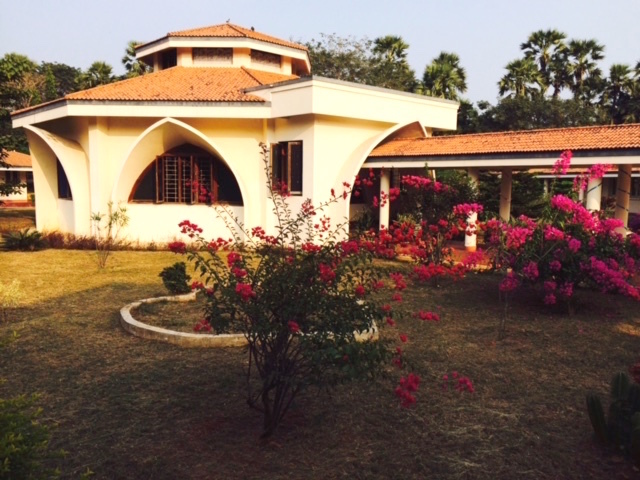 Tomorrow after lunch I will head to our novitiate house in Nambur to teach a short course on our SCJ Rule of Life to the novices. It just about brings to an end my stay in Eluru though I will return here on October 16th for two days to wrap up my stay and gather all my belongings as I head for home on October 19th. After my 10 days at Nambur I will travel by train to Chennai for three days of meetings with the district council. 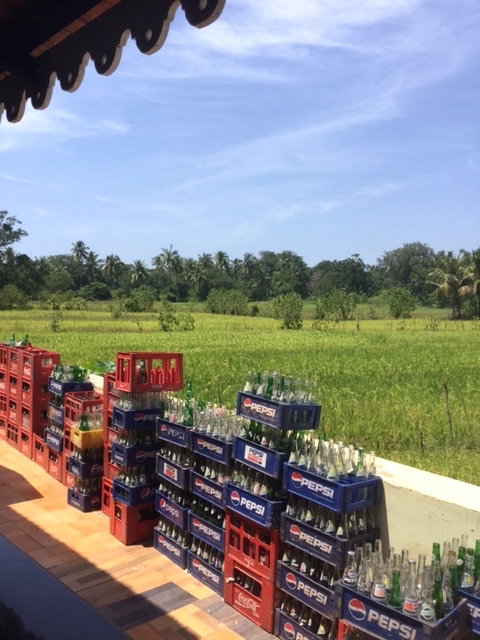 At least the train ride to Chennai is relatively short one lasting only eight hours; and if you take the night train you can spend most of it in dream land, that is if you can sleep on a train when the Chai men ply their wares at 3:00 am. Tom, Thanks for these continuing posts. I enjoy reading your observations.